My Fish Tank Build Project. 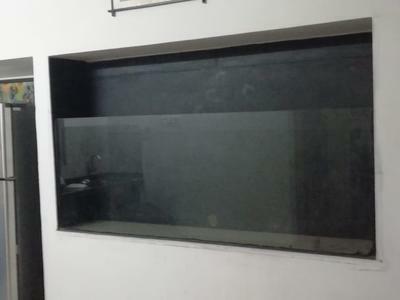 Have been trying to build an aquarium @ my home (kolkata,India) where 12 MM glass (front) mounted over black stone (other 4 sides). But water leaking out from 2 bottom corner even after applying some many rubber glue. Now i dont have any clue to fix the same. I'll be glad if you share some info to fix the same. How to fix water leakage over a glass-stone fish tank. Thank you for visiting my site with your particular question. After some head scratching, I think that I have found an answer to the problem you have. You mention that you have a 12 MM glass mounted at the front. (Is this the only glass panel?) - If so this is where the problem lies. When you have a traditional rectangular fish tank - there are 5 glass panels strongly bonded together to form a tank shape - effective for keeping water in. Your tank it seems - has only 1 glass panel. Therefore the weight and pressure of the water contained inside your tank will always find the weakest point of exit - hence the water leaking from the 2 bottom corners. To solve the leaking problem, I suggest you remove the existing glass panel and purchase a complete fish tank (5 sides), built to the exact dimensions of the space required. (Remember to allow free space above the tank for cleaning and maintenance). I hope this suggestion will help you and stop the water leaking problem. Any further help, please don't hesitate to ask again for any other fish tank problems. Join in and write your own page! It's easy to do. How? Simply click here to return to WFT FAQs.